The Aspen M5500-8 Commercial trailer is designed and built by the same team that brings you Aspen’s heavy haul and super haul products. This trailer is 53 feet overall with 26 feet of wide open deck and 116 inch gooseneck swing, meaning you can get under the trailer with your 4 axle tractor without being punished by the extra weight and hassle of flipping an extension. 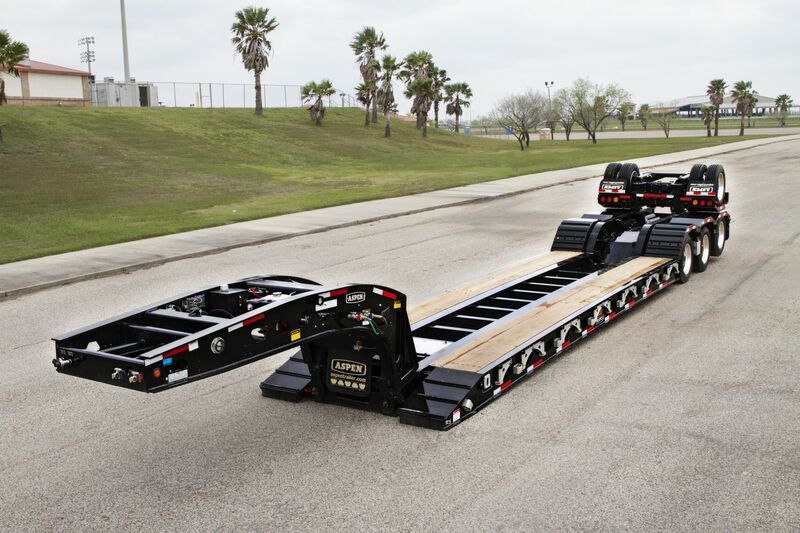 The Aspen M5500-8 comes standard with swing-out outriggers, protected air lines, wide gooseneck support arm, apitong decking and rear frame ready for flip 4th axle or 14′-1” spread single axle booster. 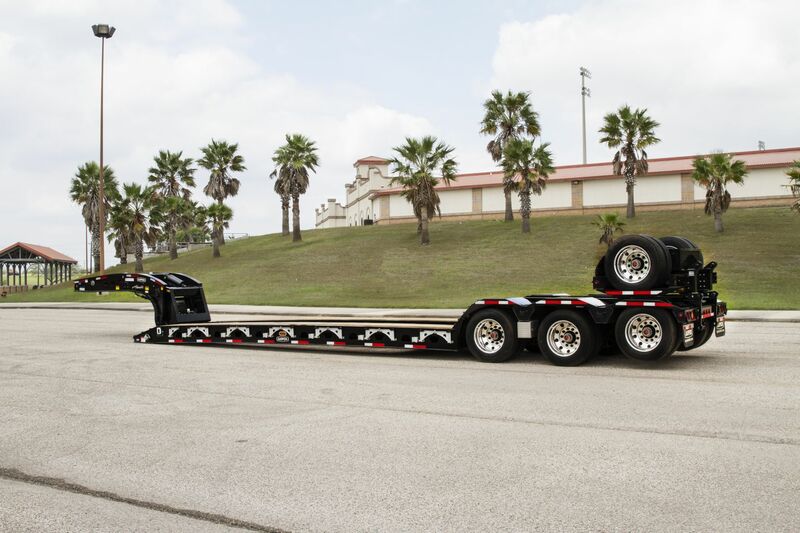 This 55 Ton hydraulic removable gooseneck lowboy can be customized with only the options you want, so you’re not paying in weight or expense for options you don’t need. Aspen customers can choose from options such as 9hp Honda engine, bolted load bearing wheel covers, air lift 3rd axle, locking chain basket, flip 4th axle and 14′-1″ spread single axle booster. 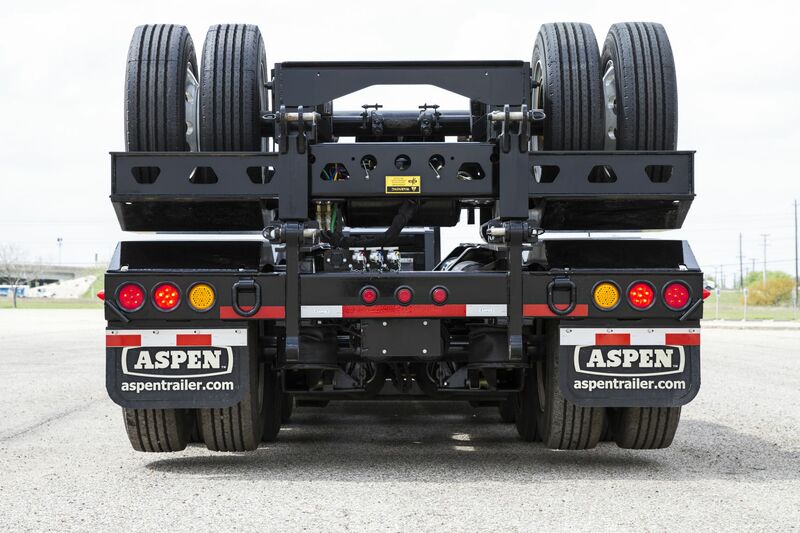 Not all 55 Ton contractor style trailers offer the features and flexibility of Aspen’s latest design.